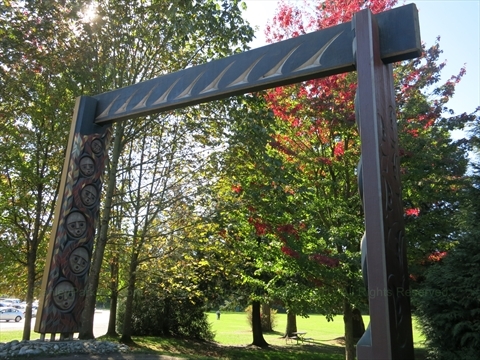 There are 3 Welcome Gateways carved by Susan Point in Stanley Park. They reside around the Totem Poles. 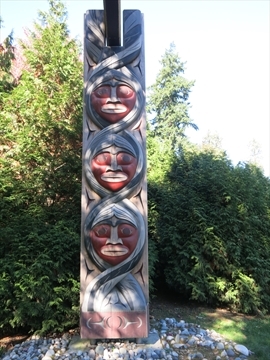 One is just off of Stanley Park Drive where you enter the area with the Totem Poles. The second one is to the left of the Legends of the Moon building. This one is relatively hidden and usually overlooked. 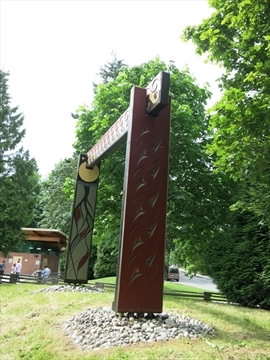 The third welcome gateway is behind the totem poles. The welcome gateways were erected in 2008. They are actually the only local (Coast Salish) art at the site. 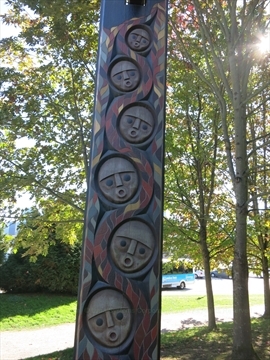 The other totem poles are from northern first nations peoples. The artist, Susan Point, was featured in an art show from Feb - May 28, 2017 at the Vancouver Art Gallery. 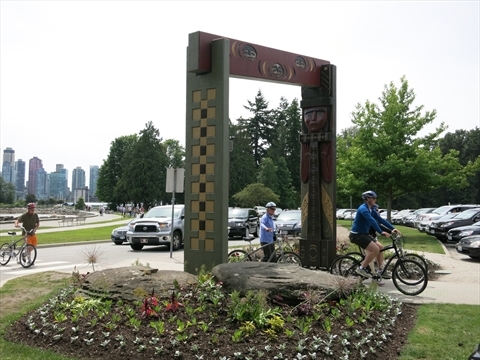 Where are the Susan Point Welcome Gateways in Stanley Park? 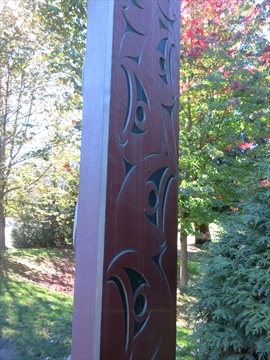 The Susan Point Welcome Gateways are located around the Totem Poles at Brockton Point. Nearby is the Portugese Joe Statue, West and North Vancouver Lookout. There is also the Legends of the Moon gift shop and concession stand.